“Valentine Edgar Morgan. Valentine Morgan grew to manhood in Fredericksburg, IN. He was left an orphan when he was a mere child and had to make his way however he could. As a result he was not able to obtain so much as a grade school education. He could not read a book or write a letter. But he did pick up a surprisingly good practical education in his own experience. However the lack of education seriously limited him all through his life and this, together with much bereavement he experience, caused him to be very quiet and reserved. In the years 1895 he came to Dawson County, Nebraska and he has resided here ever since. While he himself belonged to no church, so far as is known, ….He himself attended worship in the Methodist church of Lexington until he was no longer able to do so. In 1871 Mr. Morgan married Elizabeth Bruner in Fredericksburg, Indiana. To this union 2 daughters and a son were born. These survive their father. They are Mrs. Bertha Lee, Forrest Park, Illinois, Mrs Henry Miles, North Platte, Nebraska, and Mr Edward Morgan of Oshkosh Nebraska. The mother of these three passed away in about 1885. In April, three years later, Mr. Morgan married Mary Miles in Washington, Indiana. To this union 10 children were born. One daughter, Nettie passed away in 1893 at the age of 3 years. This Mrs. Morgan passed away in 1910. The 9 children who survive their parents are, Joseph W. Morgan and Mrs Mary Dunlap of Lexington, William A. Morgan, San Diego, California, Oscar J. Morgan, Fr. Collins, Colorado, Andrew and Frank Morgan, Cheyenne Wyoming, Mrs Marjorie Sieoff, Ainsworth, Nebraska, Mrs Bea Humpal, Ravenna, Nebraska, and Dr. Harry Morgan, Ship Surgeon on the USS Grant (at sea). 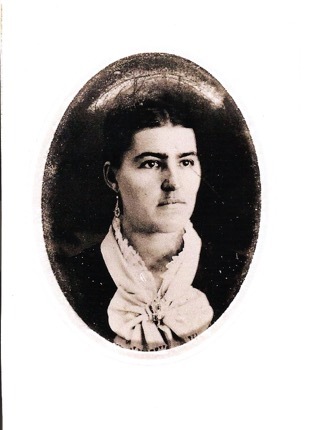 Then years after Mrs. Morgans death Mr. Morgan married Julia Fox in Lexington, Nebraska. This was in April 1920. Two years later Mr Morgan was again bereaved of his wife. When Volney married his first wife Christina Bruner he used the name Volney Morgan in 1877. Then when he married Mary Ann Miles he used the name Valentine Morgan in 1888. 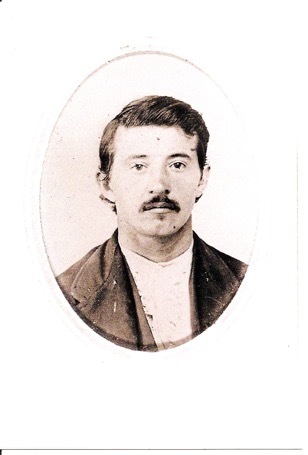 His son Thomas Edgar Morgan said his father’s name was Volney. This entry was posted in Daviess County, Washington County and tagged Bailey, Bright, Bruner, Burns, Cummings, Dunlap, Duryea, Hendrix, Humpal, Kemplin, Lee, Lynass, McGinnis, Miles, Morgan, Northey, Ordway, Ozburn, Prosser, Reed, Shaw, Sieloff on November 26, 2014 by oahblog.